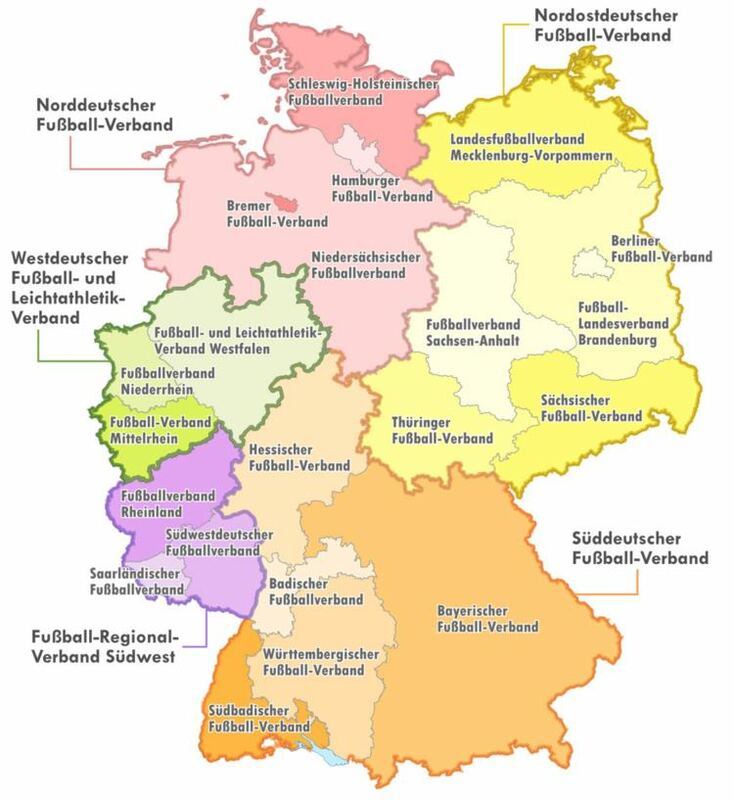 The German Football Association (German: Deutscher Fußball-Bund [ˈdɔʏ̯t͡ʃɐ ˈfuːsbalbʊnt]; DFB [deːʔɛfˈbeː]) is the governing body of football in Germany. A founding member of both FIFA and UEFA, the DFB has jurisdiction for the German football league system and is in charge of the men's and women's national teams. The DFB headquarters are based in Frankfurt am Main. Sole members of the DFB are the German Football League (German: Deutsche Fußball Liga; DFL), organising the professional Bundesliga and the 2. Bundesliga, along with five regional and 21 state associations, organising the semi-professional and amateur levels. The 21 state associations of the DFB have a combined number of more than 25,000 clubs with more than 6.8 million members, making the DFB the single largest sports federation in the world. Before 1914, the German Empire was much larger than today's Germany, comprising Alsace-Lorraine and the eastern provinces. The borders of the regional associations were drawn according to suitable railway connections. Also, teams based in Bohemia, then part of Austria-Hungary, were eligible, as they were German Football clubs and thus considered German. Thus, a German team from Prague was runner-up in the German championship. On the other hand, clubs of the Danish minority in Northern Schleswig refused to join the DFB. This area after World War I voted to join Denmark. Due to border changes imposed by the Treaty of Versailles, the DFB had to adopt its structure. The Saarland, Danzig, and the Memelland were detached from Germany and East Prussia was cut off from the main part by the Polish Corridor.